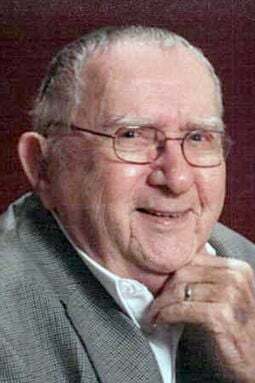 William D. “Bill” Meyer, age 90 years, of Lincoln, formerly of Elkhorn, died Feb. 10, 2019. Preceded in death by his parents, William and Nell; sister, Dona Rae Hazeltine; and nephew, Scott Hazeltine. Survived by wife Rose; nephew, Neal Hazeltine of Bloomington, Indiana. Visitation is Saturday from 9 a.m. to 10:30 a.m. A Masonic service is Saturday at 10:30 a.m. The funeral service is Saturday at 11 a.m., all at the funeral home. Interment with Military Honors at Prospect Hill Cemetery. Memorials to Bethany Lutheran Church, Masonic Lodge 102 or Elkhorn American Legion. Condolences to www.reichmuthfuneralhomes.com.